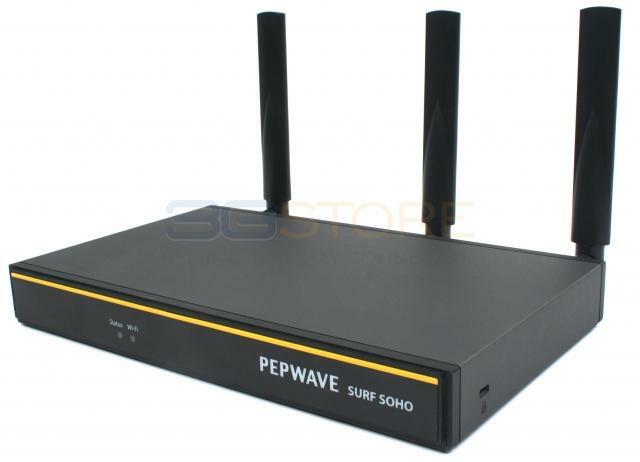 Congrats to John H. of Barnet, Vermont who just won a $25.00 Restaurant.com gift code for writing a review for Pepwave Surf SOHO MK3 Router with 802.11ac WiFi Hardware Revision 3 at 3Gstore.com! Every week we randomly pick one product review from the previous week and award the writer a $25.00 gift code. We appreciate ALL the reviews our customers write, whether they are positive or negative - honest reviews like John H.\'s help other customers decide if the product is right for them. After you purchase a product from 3Gstore.com, we encourage you to log in and 3Gstore.com and leave a review letting people know how the product worked for you - you'll be helping others, and you'll automatically be entered to win a restaurant.com gift code!. Purchased based on recommendation of Michael Horowitz at RouterSecuruty.org after dealing with support and security issues with compromised Netgear products. The Pepwave is much more powerful in many ways, but also take more time to learn how to use all the features. It is solving problems for me and I am still learning.